Jacket: Used. Shirt: New Look. Pants: Vero Moda. Shoes: Sports Girl. 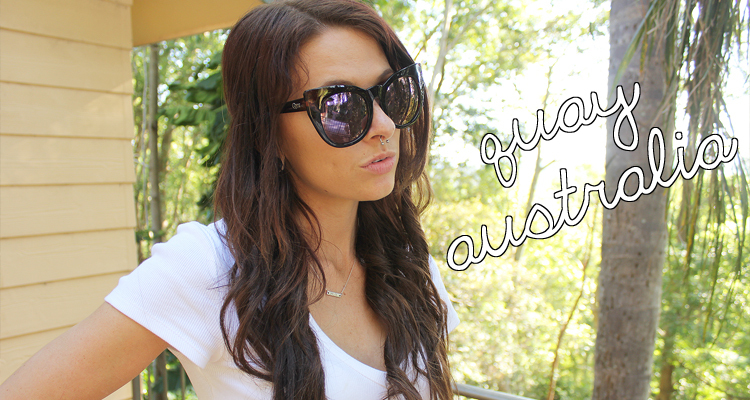 Sunglasses: Rubi. Every piece I am wearing in these pictures are my go to casual items. These are my first ever pair of Jeggings, I purchased them from Asos, they are super tight, warm enough for our Australian winter and I actually wear them everywhere, including work. This cute little fox print shirt is one of three New Look Tee’s I bought from Asos, it is so rare to find a well fitting girl's Tee and it is definitely a new essential for me as you can put them with nearly anything. I am so in love with the new Flatform, Platform, Big Sole trend and being so tall it is hard to wear them casually but I found these weren't too over the top and I am still shorter than my boyfriend, making them perfect. 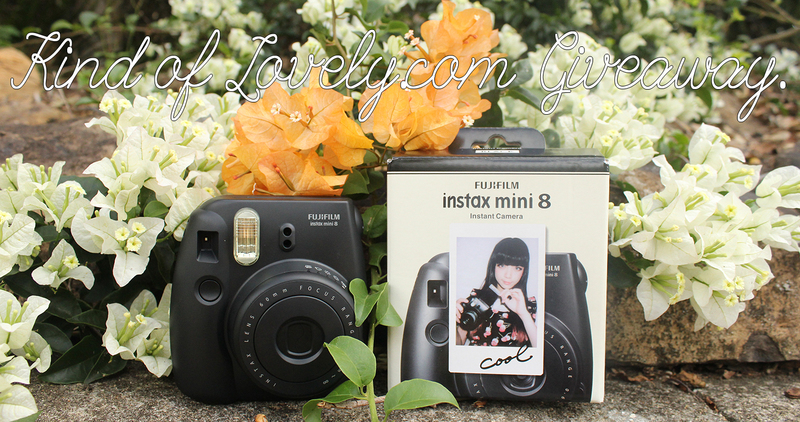 My blog is undergoing a huge make over soon and with that I am doing an International Giveaway for a black Fujifilm Instax Mini 8 Polaroid camera. So follow and watch this space! Cute, the jacket looks nice. Cool outfit you look stunning doll. That print is so darling! Are those little foxes? Fabulous badass mix! You certainly rock these leggings! Ow you make me want my septum pierced! Love love how you have styled with the jacket! Wow the pictures are so cool! nice place and I like it your look! Golly darn gosh I love your style! Wow, beautiful outfit, you're looking very good. very cool outfit indeed New follower here Hope you can check out my blog all about NYC ! Have a GREAT week!! Great look! Love the jeggings. Vero Moda has great pieces. The jacket is fabulous too. They fit perfectly! You look amazing dear. Cool jeggings and gorgeous pictures! Amazing look Miss! You look stunning! You look so pretty in this jacket! great casual outfit. love the jacket! 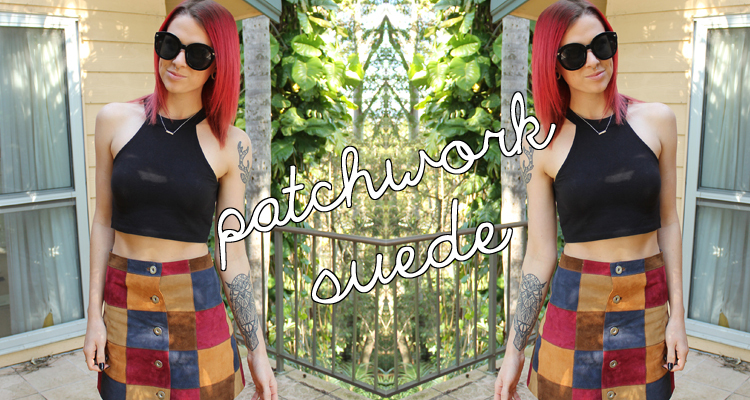 I rarely buy at Vero moda, I don't know why they have some cool stuff! Love your shoes, your outfit looks amazing! Cute! I'l make sure to come back for that giveaway! Love that jacket! Such a versatile piece. 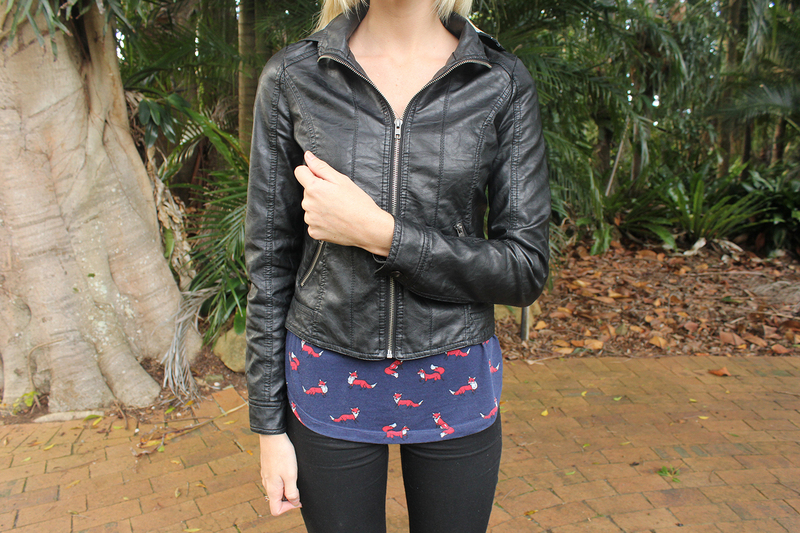 the leather jacket looks even greater when you paired it with the black jeggis! I love how you played with the popped of the print with the all black look. You looks stunning! What an adorable outfit, I love the shirt on you and the jacket is also very pretty! Love love love your style! And absolutely loving the pink hair in your "about me" picture! Totally rocking it! I love your top so much, Meg! 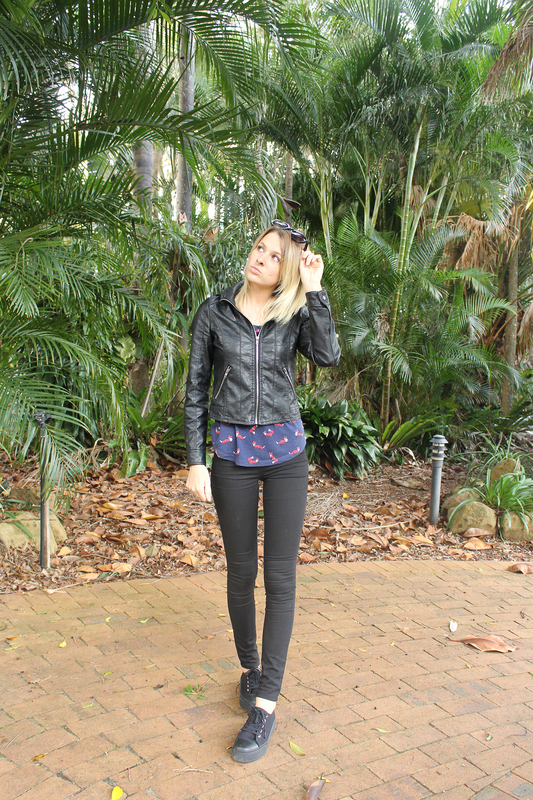 The leather jacket is so killer and so is your style! 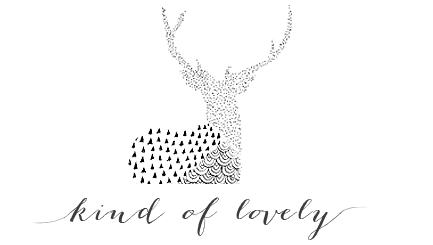 Such an adorable print, you look fabulous in everything. I love your top, it's so cute! 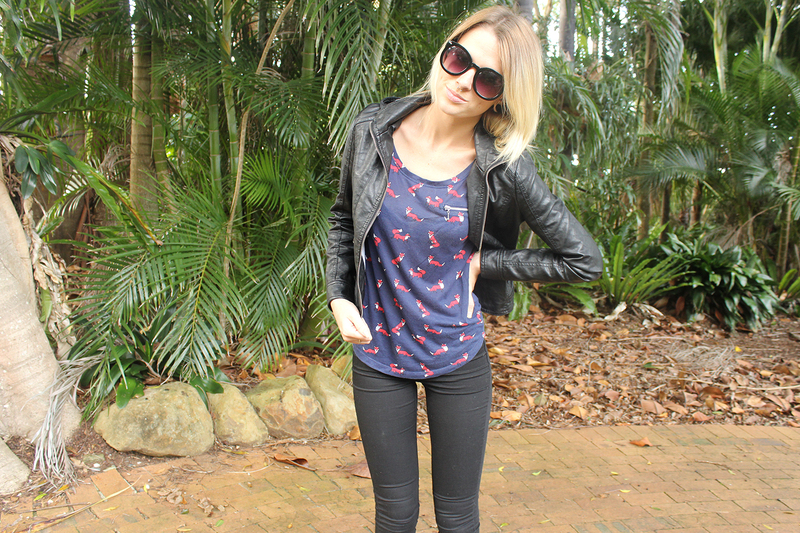 Love the fox detail on your top - such an adorable print! I love wearing my favorite go-to pieces all in one look! Cute tee! 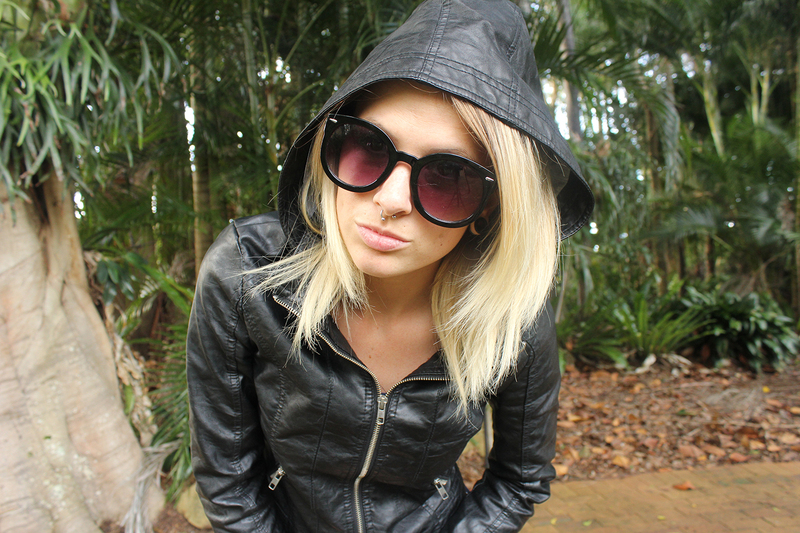 Love the leather jacket and that septum piercing! I really like that t-shirt.